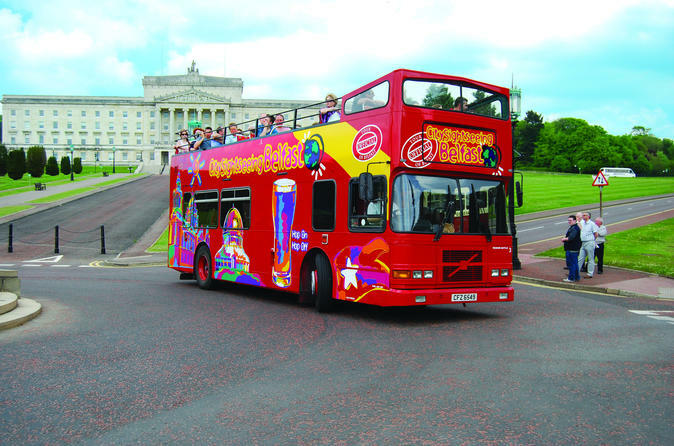 With this 48-hour ticket aboard an open-top double-decker City Sightseeing bus, you can see the Wall Murals in Falls Road and Crumlin Road, and the Botanic Gardens, City Hall, Albert Clock plus much more. With great views from the top of the bus, strategically placed stops and an interesting commentary, this truly is the best way to see the sights of Belfast. 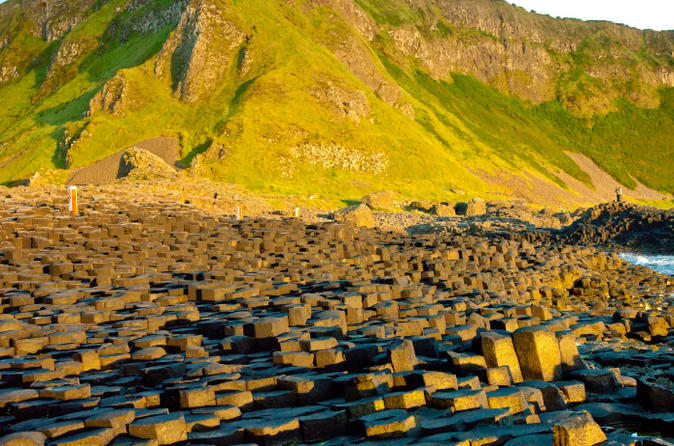 Check off the highlights of Northern Ireland on this full-day tour from Belfast. Marvel at the Giant's Causeway, Northern Ireland's only UNESCO World Heritage site; brave a walk across the Carrick-a-rede rope bridge; see memorable film locations from the Game of Thrones; and enjoy spectacular views along the Antrim Coast. 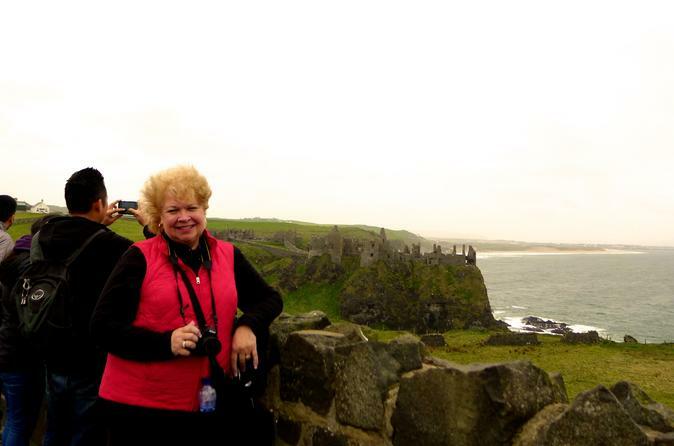 Enjoy a full day Giants Causeway and Antrim Coast day tour. Explore the world famous Antrim Coast and UNESCO listed Giant's Causeway free from the crowds and the queues as we travel in the opposite direction from most other operators. Hear stories of of the Irish myths and legends of how the Causeway was formed. 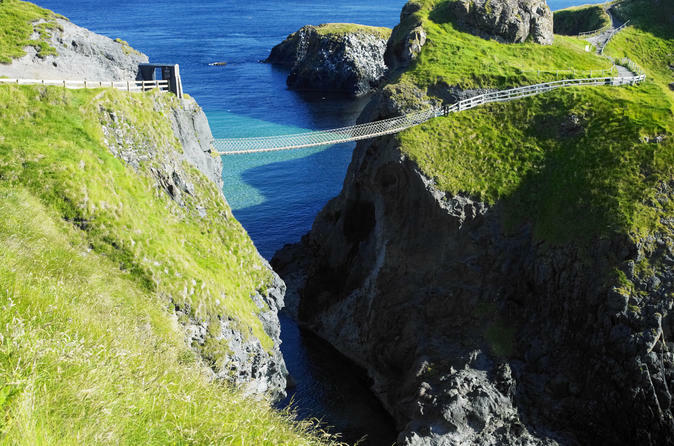 See the sensational views from the famous Carrick-a-Rede rope bridge. Visit the Bushmills Whiskey Distillery, the oldest licensed distillery in the world and see the stunning ruins of the 14th century Dunluce Castle. A unique and riveting journey into the most recent conflict in Irish history, Belfast mural tours is a transport based tour with ample opportunities to stop, exit the vehicle, and take amazing photographs of the worlds largest outdoor art gallery. Accompanied by a local, certified guide our tour delves into the stories behind each mural, exploring the people, neighborhoods, and history of each one. Standard tours are 1.5 hours in duration but may be extended on request. 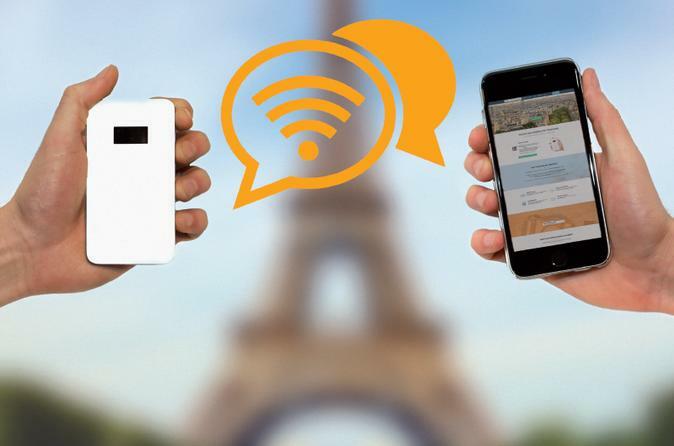 Pickup and return to your city center hotel is included. 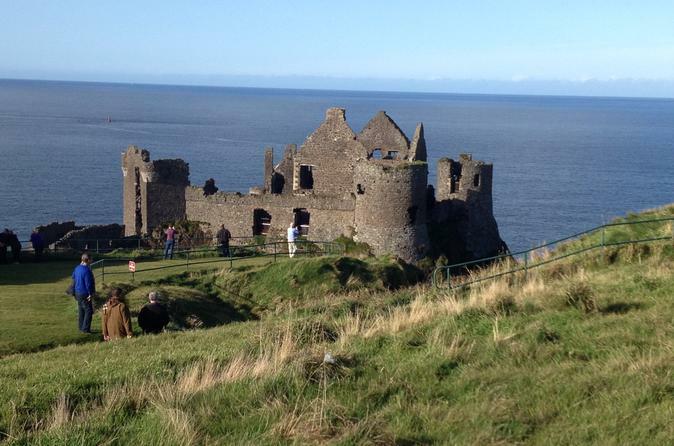 This is fully guided all day tour taking in the best of the Game of Thrones filming locations on the beautiful North Antrim coast entwining the history and mythology of the area into the tour itself to make it as interesting for the casual viewer and superfan alike. 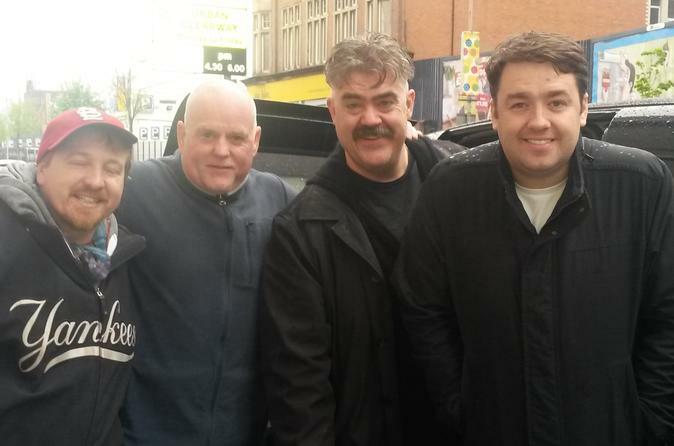 This areas connection to the series is incredible; history, religion, mythology, mysticism and politics are just some of the many direct links that are covered on the tour. 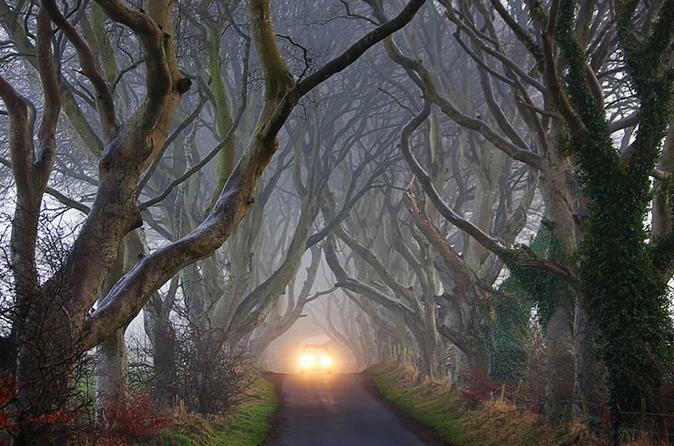 Take in the stunning scenery featured as the backdrop in HBO’s Game of Thrones series when you join us for a day visiting the main filming locations in Northern Ireland featured in this phenomenal series including a stop at the world famous Dark Hedges. Although there was no filming at The Giants Causeway as a special bonus we will make a short stop to show you the only UNESCO World Heritage Site in Northern Ireland and in 2015 was awarded the UKs Best Heritage Attraction at the British Travel Awards. The Crumlin Road Gaol closed its doors as a jail in 1996 and reopened as a tourist attraction in 2013. 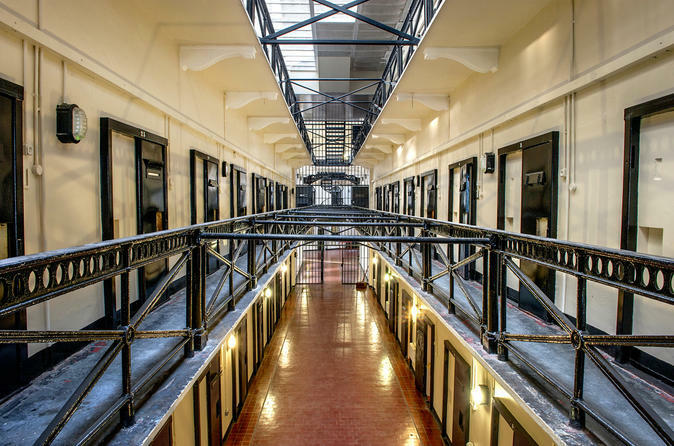 Once home to a number of Northern Ireland's high-profile prisoners, the gaol has a grim history that includes state executions by hanging, child prisoners, and some spooky paranormal happenings. Take a 1-hour tour with a guide to learn more about it. Travel with us on the Stones and Thrones Tour to a magical landscape like no other, Visit more locations than any other tour while Travelling with the same company that actually transports the cast and crew from HBO’S Game of Thrones giving us insider knowledge other companies can only dream of. 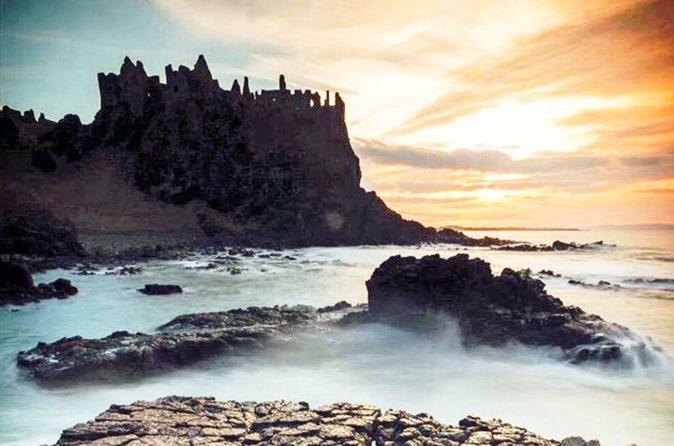 You can indulge your fascination for Game of Thrones or simply enjoy the breathtaking scenery, and marvel at the beauty and splendour of the Causeway Coast & Glens. 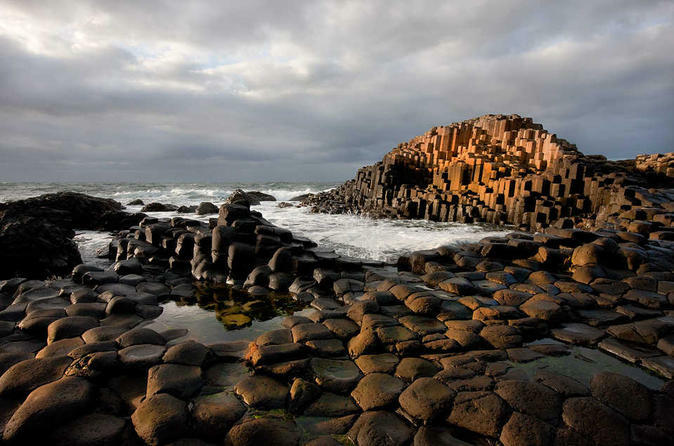 On this adventure, we also spend approximately 1.5 Hours visiting the Giant's Causeway.This is a unique day tour where you can explore the scenic splendour of the seven kingdoms and see where many of the pivotal 'Game of Thrones' scenes were shot! See magical landscapes like no other, Marvel at the beauty of the UNESCO-Listed Giants Causeway along with the Carrick-a-Rede Rope Bridge. You won't find this tour anywhere else. Realizing time is limited and the importance of arriving back to Belfast port on time for departure, smaller coaches are used which makes the tour more personal and easily managed. This allows time to see Belfast City along with Giants Causeway. While you are in port in Belfast, spend your time exploring the city on this City Sightseeing hop-on hop-off shore excursion, aboard a double-decker bus! 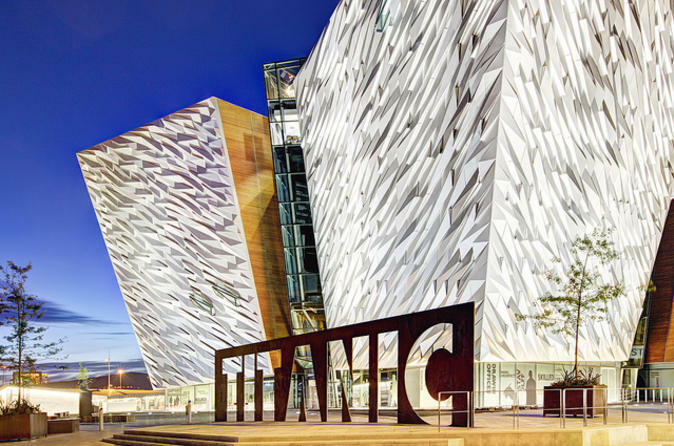 See top Belfast attractions on this comprehensive sightseeing tour, such as the Titanic Dock and Pumphouse, St Anne’s Cathedral, Belfast Botanic Gardens, Albert Clock and much more. 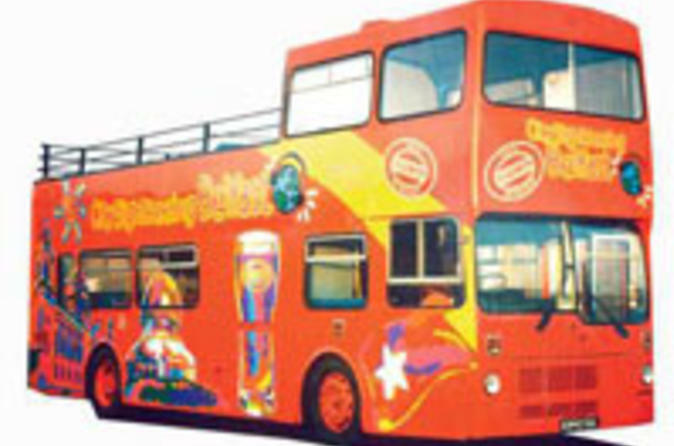 The open-top buses allow you to enjoy full 360-degree panoramic views as you travel along your route. Simply hop on and off as many times as you like at any of 15 stops around Belfast for your 24 hours of sightseeing! Experience an unique and scenic ride from Belfast City Center to Giant's Causeway. Visit many of the beautiful locations around the area such as The Dark Hedges, the Bushmills Whiskey Distillery, the Dunluce Castle and the Carrick a Rede rope bridge/Larrybane Quarry. Maximize your time at each attraction and spend less time waiting on stragglers returning to the coach. Wander into the Haunted Forest, see the Riverlands, make a grand entrance at Winterfell and more on this ‘Game of Thrones’ day trip from Belfast. Traveling by air-conditioned coach with a knowledgeable guide, journey to County Down and visit locations used in the award-winning HBO series. 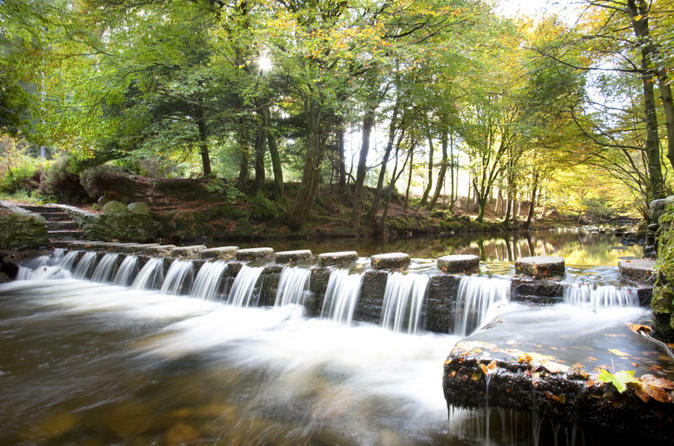 Explore Tollymore Forest Park, the real-life location of the Haunted Forest, and visit Inch Abbey and Audley’s Castle, which featured as The Twins and the Riverlands. The highlight of the tour is Castle Ward — site of Winterfell — where you can join in an optional archery session. Spend a memorable day visiting what is undoubtedly Northern Ireland's most infamous attraction. Travel by coach on a journey you will remember for a life time, taking in the spectacular natural beauty that is the Antrim Coastal Road, the Carrick-a-Rede Rope Bridge and the Giant's Causeway. 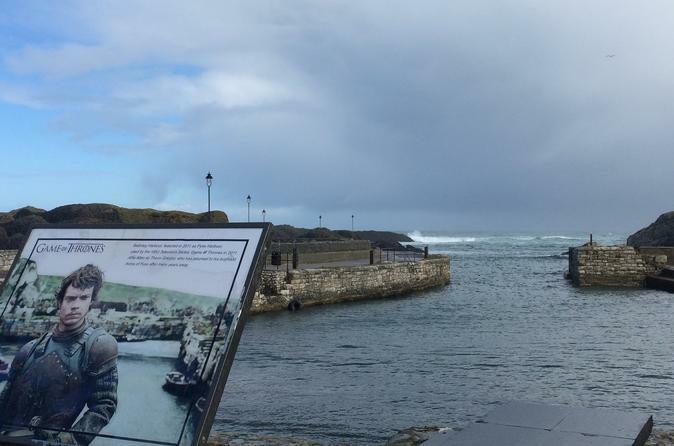 This Game of Thrones location tour is an extension of the normal Giant's Causeway Tour. As both tours go on a very similar route, why not show you both and give you a well rounded experience of Northern Ireland? 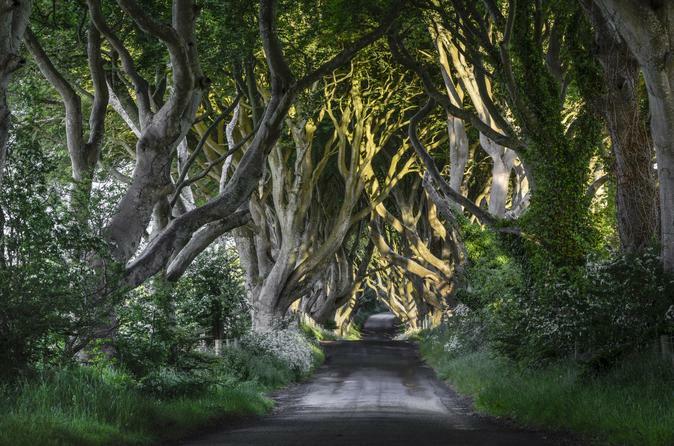 Belfast is home to where 'Game of Thrones' is filmed. Many of the locations used in the show are located in Northern Ireland, making good use of Ireland's rustic charm, at points spread out across the province. Your tour will visit the legendary Giant’s Causeway, rounding off the perfect trip for fans of the show and fans of Ireland alike. 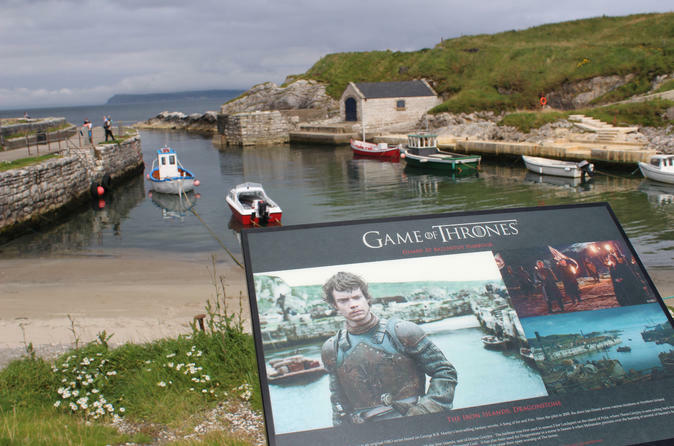 While the hugely popular 'Game of Thrones' TV series, adapted from George Martin’s 'A Song of Ice and Fire' novels, is filmed all over Europe, many of the key locations are based in Northern Ireland. You will get the chance to see seven iconic sites from seasons one through four, including Dragonstone, Lordsport Harbour, and the Giants Causeway, with guidance from your very own Maester. The Maester, a local guide and fan of both the books and TV series, will discuss information from the 'Game of Thrones' series, recalling incredible tales of legend and local history that could come right out of the books. 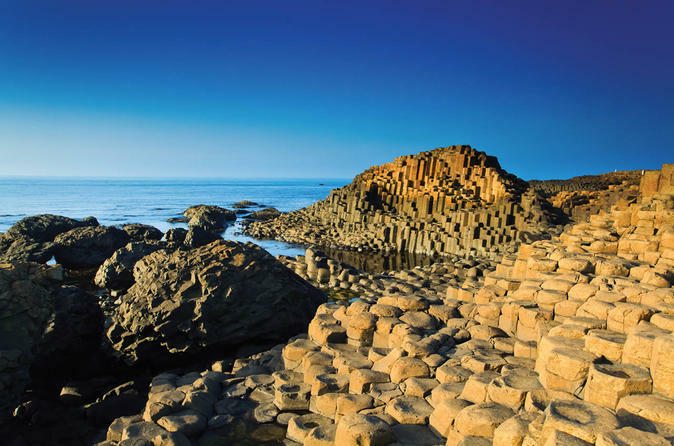 In this day tour of Belfast and the Giant's Causeway, you will admire the splendid landscape of County Antrim, including the famous Dark Hedges, made familiar by the fantasy drama 'Game of Thrones'. If you are feeling brave, take a walk across the Carrick-a-Rede rope bridge and enjoy the view. 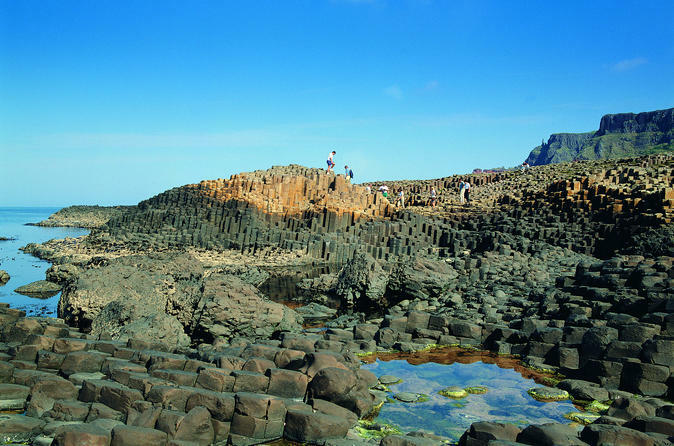 Discover and explore the Giant's Causeway's hexagonal columns, built by the Irish giant Fionn and his Scottish rival Angus. 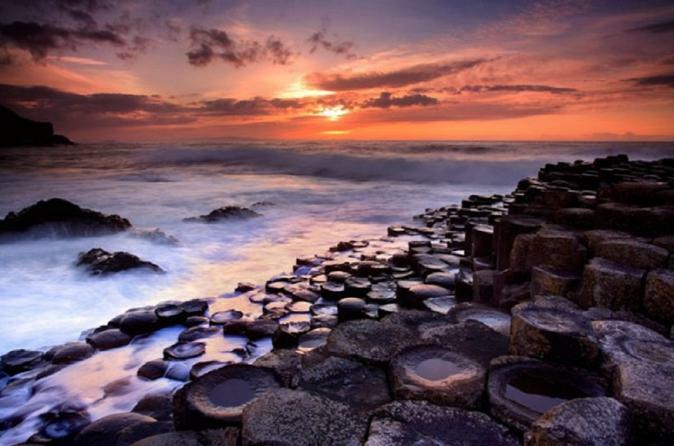 Make your vacation to Belfast a memorable one and take this private tour to the Giants Causeway. On your way, visit the Carrick a Reide Rope Bridge, Bushmills Distillery, Dunluce and Carrickfergus Castles. You may also visit some of the film locations of one of the top shows of television, Game of Thrones. Belfast city has a unique past after coming out of 35 years of conflict. 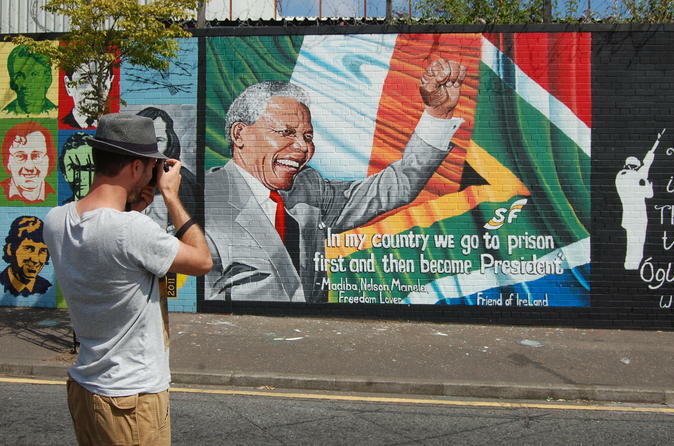 Northern Ireland has become famous for the murals painted in almost every area of the country. These pictures of murals are often flashed around the world on news bulletins or used as a backdrop when interviewing people. They often depict the history and political views of both traditions and are a way of marking territory. These wall paintings often look intimidating but they have become as much of a tourist attraction as many of the regular attractions within Belfast and beyond.